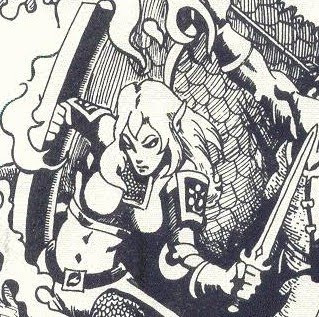 Tower of the Lonely GM: Races for DCC RPG! After removing the “demihuman-ness” of the Elf, Dwarf and Halfling classes from the DCC Corebook (check it here), I tried to create - forgive me for 3rd Edition jargon - small templates with races. 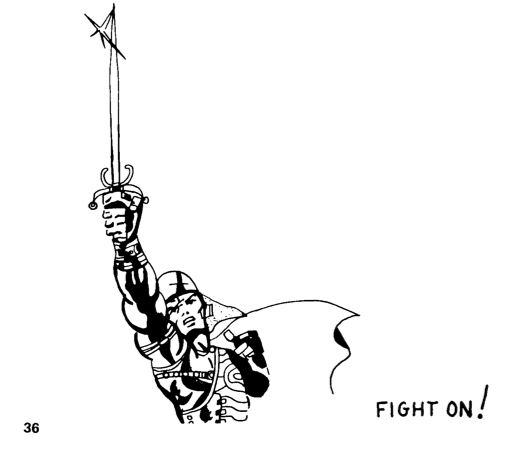 Although of late I much prefer personalized classes (like it is done in the excellent Adventurer Conqueror King RPG), I’m not against using races. In particular, I quite like how older versions of D&D did it. 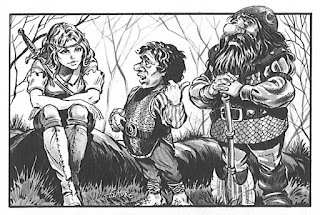 In the LBBs, it can be argued that Dwarf, Elf and Hobbits/Halflings are presented as a group of modifications for the Fighting Man class (and for the Magic User if we’re talking of Elves). Holmes explains it a lot better in his D&D. That said, here’s another “dirty and cheap” hack for those times you want an Elven Prince (Elf Warrior), a Dwarven Dungeoncrawler (Dwarf Thief) or maybe a Feral-cannibal Halfling from the Wastes (Halfling Warrior). These races should - theoretically - work for the Cleric, Thief, Warrior and Wizard classes of the Corebook (and you can try to mix them with the Scout, Defender, Rogue and Warlock). Finally, remember: instead of choosing race separately you can still play with a normal Elf, Dwarf or Halfling class. Infravision: A dwarf can see in the dark up to 60’. Slow: A dwarf has a base movement speed of 20’, as opposed to 30’ for humans. Underground Skills: Long life beneath the ground trains dwarves to detect certain kinds of construction. When underground, dwarves receive a bonus to detect traps, slanting passages, shifting walls, and other new construction equal to their class level. Additionally, a dwarf can smell gold and gems. 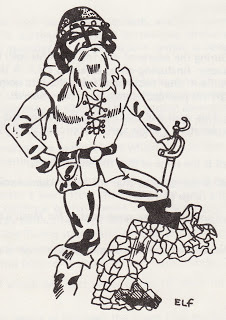 A dwarf can tell the direction of a strong concentration of gold or gems within 100’. Smaller concentrations, down to a single coin, can still be smelled but require concentration and have scent ranges as low as 40’ (for a single coin or gem). Instead of smelling gold, you can pick one of these alternate supernatural traits for your Dwarf. Languages: At 1st level, you automatically knows Common and a dwarven racial language. Infravision: An elf can see in the dark up to 60’. Immunities: Elves are immune to magical sleep and paralysis. Vulnerabilities: Elves are extremely sensitive to the touch of iron. Direct contact over prolonged periods causes a burning sensation, and exposure at close distances makes them uncomfortable. An elf may not wear iron armor or bear the touch of iron weapons for extended periods. Prolonged contact with iron causes 1 hp of damage per day of direct contact. Heightened Senses: Elves are astute and observant. All elf characters receive a +4 bonus to detect secret doors. Moreover, when simply passing within 10 feet of a secret door, elves are entitled to a check to detect it. Languages: At 1st level, you automatically knows Common and an elven racial language. Infravision: A halfling can see in the dark up to 30’. 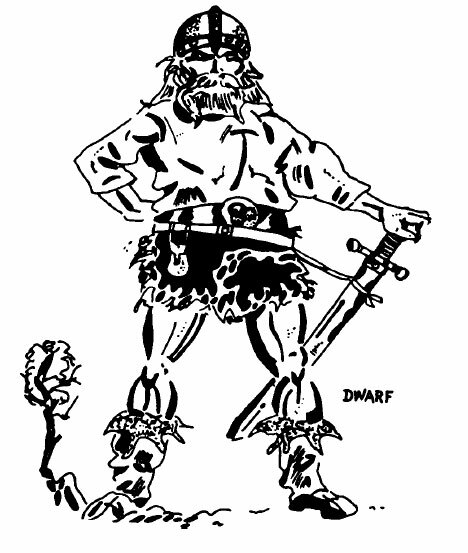 Small size: Halflings are 2 to 4 feet tall, and the stoutest among them weights no more than 70 pounds. This small size allows them to crawl into narrow passages and through tiny holes. Because of his size, a Halfling can suffer limitation with weapons granted by some classes, like Warrior. Breakfast before elevenses: If a Halfling eats double rations before elevenses, let him roll a d4. He recover that much in Luck. This ability can only be used once per day, obviously. Stealth: Halflings are quite good at sneaking around. They receive a bonus to sneaking silently and hiding in shadows depending on their class level, as shown on table 1-18 of the Halfling class. This can be used in the same manner as a thief’s abilities. If you gain the ability to move silently from your class (like the Thief or the Rogue), use the best bonus. Languages: At 1st level, you automatically knows Common and a halfling racial language. Where is the Good Luck Charm trait? I removed this trait because I think it doesn't mesh well with other classes - especially the Thief and the Rogue. 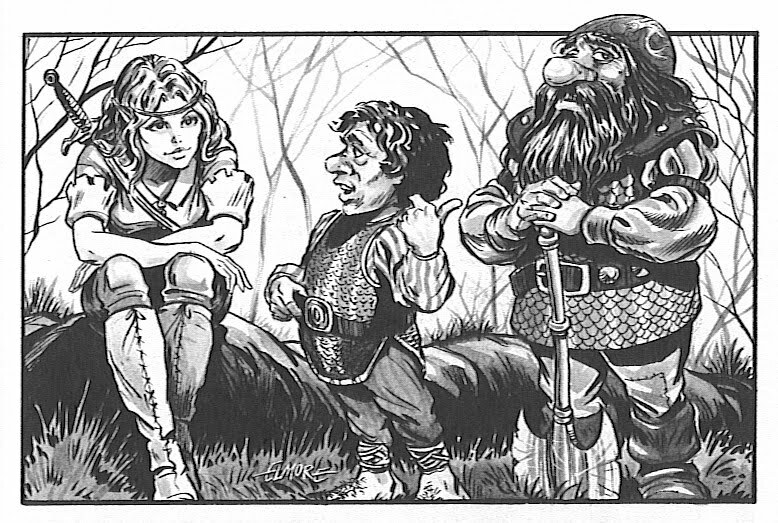 Besides, there are plenty of potential for abuse in min/maxing Good Luck Charm with other classes, so let’s leave it as a “niche” trait of the Halfling class (but not the Halfling Race). Instead of that, those halflings that don’t follow the Halfling class (confusing… I know) gain a new trait - Breakfast before elevenses - inspired by the awesome Heroic Fantasy. Beloved of the gods: a human can reroll one of his check, before the Judge announces the result, once per day. Why are the humans beloved of the gods? To give them a little boost now that Elves, Dwarves and Halflings can carry some of their racial advantages to other classes. According to the LBBs that is also an Elf...take that Tolkien!